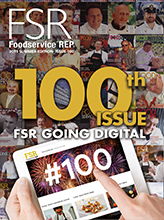 Foodservice Gateway » Make sure you’re stocked up with flavoursome Ingham finger food! Make sure you’re stocked up with flavoursome Ingham finger food! As we enter the last few months of the year, it’s time to stock up on all you need for the festive and holiday season. The end of the year brings with it plenty of opportunities for function catering, cocktail parties and seasonal celebrations – so it’s essential to ensure you have a comprehensive selection of portion controlled finger food which is quick and easy to prepare, presents attractively and tastes great too! 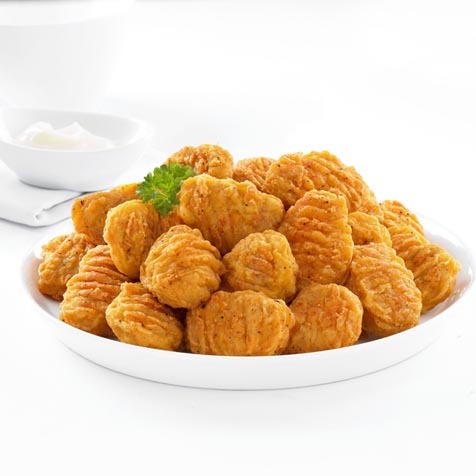 When it comes to finger food, nothing beats the terrific flavour of Australian chicken, and Australia’s premier poultry products supplier Inghams Foodservice has a terrific range for you to choose from. Enjoyed by children and adults alike, the Ingham range includes a great variety of versatile products whose application is limited only by your imagination! Ingham Perfect Bites are a great example. 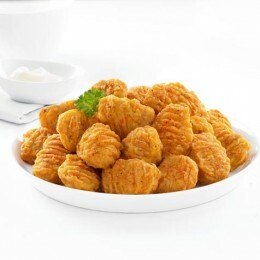 Made from 100 per cent Australian chicken with no artificial colours, these bite-sized snacks are ready to serve after just four to four and a half minutes in the deep fryer and can also be oven baked. Ideal for cafes, bistros, function centres and takeaway outlets, they’re available in Oriental, which features a flavoursome coating made with five different spices; and Southern Style, a traditional southern coating with a hint of pepper. The perfect choice for function finger food or a tasty lunch meal, Perfect Bites Southern Style flavour can be served on their own with barbecue or tomato sauce or in a wrap with lettuce, cheese and mayonnaise secured with a toothpick, while Perfect Bites Oriental flavour are ideal served with sweet chilli or teriyaki sauce, two unique, mouth-watering flavours that’ll have your customers coming back for more. 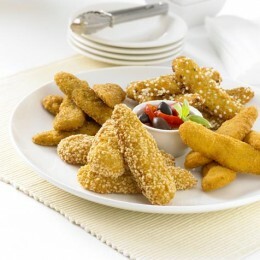 Ingham Tenders are made from 100 per cent Australian chicken that’s been coated in a crunchy crumb and are available in a range of flavours, including Southern Style, Classic Crumbed, Sweet Chilli and Salt & Vinegar. They’re free of artificial colours and flavours and come individually quick frozen in 1kg bags for storage convenience and easy portion control – just use what you need and keep the remainder frozen until required. Ingham Tenders can be enjoyed on their own either whole or sliced into bite-sized pieces and served on toothpicks, with or without the dipping sauce of your choice. You can also slice them and serve in a wrap with tomato, lettuce and a complementary sauce secured with a toothpick, or as a filling in sandwiches or rolls at your next function or special event. They’re also popular at pubs, clubs, bistros, takeaways, cafes and school canteens around Australia. Packed full of flavour, there’s a product for all occasions in the Ingham Tenders range. Ingham Perfect Bites and Ingham Tenders are just two of the many products in the extensive Ingham finger food selection – visit www.inghams.com.au/foodservice today for a full listing of available products.